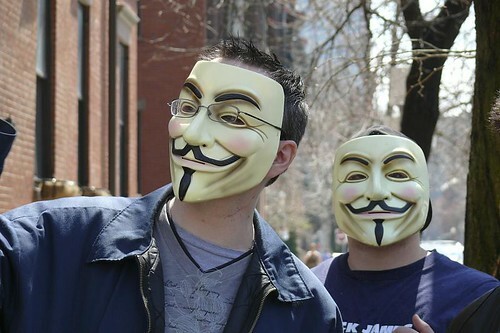 Another member of the Internet hate-group “Anonymous” has received the right punishment for his crimes. That group is Anonymous. You can find out more about them at http://www.anonymous-exposed.org. You can read the whole article here: http://www.vnunet.com/vnunet/news/2228567/teenage-hacker-charged-ddos. It also quotes from the court papers. Seems like the San Jose Mercury News has discovered too that a New Jersey man named Dmitriy Guzner was involved in DDoS’ing the Church of Scientology’s servers back in January. The Church of Scientology initially responded to Anonymous months ago by distributing a documentary exposing the crimes of Anonymous. Looks like now some of them are now getting caught. LOS ANGELES – A New Jersey man was charged today for his role in an attack on Church of Scientology websites in January 2008 that rendered the websites unavailable. Dmitriy Guzner, 18, of Verona, New Jersey, has agreed to plead guilty to computer hacking for his role in the distributed denial of service (DDOS) attack against the Scientology websites. A DDOS attack occurs where a large amount of malicious Internet traffic is directed at a website or a set of websites. The target websites are unable to handle the high volume of Internet traffic and therefore become unavailable to legitimate users trying to reach the sites. According to the criminal information filed in United States District Court in Los Angeles, Guzner participated in the attack because he considered himself a member of an underground group called “Anonymous.” “Anonymous” has led protests against the Church of Scientology at various locations across the country, and in January 2008 posted a video on YouTube which announced a new offensive against Scientology. Once he pleads guilty, which is expected to take place in the coming weeks in federal court in New Jersey, Guzner faces up to 10 years in federal prison. This case was investigated by the United States Secret Service Electronic Crimes Task Force in Los Angeles. The agencies involved in the investigation were the United States Secret Service, the Federal Bureau of Investigation, the Los Angeles Police Department and the Los Angeles County District Attorney’s Office Bureau of Investigation.